Los Angeles based writer, Margie Anne Clark covers the entertainment world in Hollywood, Los Angeles, Beverly Hills, the Santa Clarita Valley and surrounding entertainment venues in Southern California. Santa Clarita, Calif. – Beginning on May 14, 2017, the 2017 Amgen Tour of California,presented by AEG, brings the drama and excitement of professional cycling to California for the twelfth consecutive year. The Amgen Tour of California is regarded as the most internationally respected and esteemed stage race in the U.S. and one of the largest sporting events in the country. The 2017 race will mark the first year the men’s race has been elevated to UCI WorldTour status, making it the only stage race in North America to receive this prestigious classification. The seven-day men’s race will visit 12 host cities from Sacramento to Pasadena. On Wednesday, May 17, 2017, the City of Santa Clarita will host the Stage 4 Finish for the 2017 Amgen Tour of California (Men’s Race). Stage 4 will begin in host city Santa Barbara and travel 100.3 miles to the finish in Santa Clarita. Santa Clarita is returning for the ninth year, bringing the total number of stages hosted in Santa Clarita to 13. In addition to the men’s event, top professional female cyclists from around the world will converge in Northern California three days prior to compete in the Amgen Breakaway from Heart DiseaseTM Women’s Race empowered with SRAM (May 11-14). Presented by Visit California, the route announcement includes a visual overview of the 2017 men’s and women’s courses at www.amgentourofcalifornia.com/stages. With warm breezes coming off the beach across from the start line, it will be just as difficult to leave Santa Barbara as it was in 2015 when the riders took the same route into Santa Clarita. Winding through Montecito and Carpinteria, the riders will be getting their legs ready for two short but steep King of the Mountain (KOM) hill climbs as they approach Lake Casitas. A fast descent down Hwy 150 will take them alongside the lake and into Ojai. Following another KOM up Dennison Grade, the race will return to the picturesque town of Santa Paula, where the base of Balcom Canyon looms just a few miles away. For many local riders, Balcom Canyon is just too steep and imposing a climb to even attempt. Walking up the top section is the only option for many. This is a unique climb where the riders can easily see the KOM from the start. A popular place to watch the race come by, slowly, crowd estimates have been as high as 5,000 fans in past editions. Following a “white-knuckle” descent of Grimes Canyon, riders will head through the orange groves near the small town of Piru, and the race will begin its 13-mile eastward push on Hwy 126 toward Santa Clarita. A prevailing tailwind will help keep the race together, and the crowd waiting in Santa Clarita should see another massive field sprint. This stage comes in at more than 100 miles with two sprints, four KOMs and 7,700 feet of climbing. Santa Clarita is home to some of the state’s most avid cycling communities. Race organizers are predicting an exciting group sprint finish, so residents are encouraged to attend and join in on the excitement. If you are interested in learning more about the Amgen Tour of California in Santa Clarita, visit SantaClaritaTourOfCA.com. This website will be updated with information about volunteer opportunities, ancillary events surrounding the Amgen Tour of California in Santa Clarita, and community sponsorship opportunities. For more information about the Amgen Tour of California, including sponsorship and VIP experience opportunities, please visit amgentourofcalifornia.com. The first-ever U.S. UCI WorldTour course will cover more than 575 miles through 12 host cities May 14-20, including Sacramento, Modesto, San Jose, Pismo Beach, Morro Bay, Santa Barbara, Santa Clarita, Ontario, Mt. Baldy, Big Bear Lake, Mountain High and Pasadena. The Amgen Breakaway from Heart DiseaseTM Women’s Race empowered with SRAM May 11-14 will visit South Lake Tahoe and Elk Grove before concluding in Sacramento as the men’s race gets underway. For more information, visit amgen.com and follow us on twitter.com/amgen. Headquartered in Los Angeles, California, AEG is the world’s leading sports venue and live entertainment company. With offices on five continents, AEG operates in the following business segments: AEG Facilities, which is affiliated with or owns, manages or consults with more than 120 preeminent arenas, stadiums, theaters, clubs and convention centers around the world including The O2 Arena, the Sprint Center and the Mercedes-Benz arenas; AEG Live, which is dedicated to all aspects of live contemporary music performances, including producing and promoting global and regional concert tours, music and special events and world-renowned festivals; AEG Real Estate, which develops world-class venues, as well as major sports and entertainment districts like STAPLES Center and L.A. LIVE; AEG Sports, which is the world’s largest operator of sports franchises and high-profile sporting events; and AEG Global Partnerships, which oversees worldwide sales and servicing of sponsorships including naming rights, premium seating and other strategic partnerships. Through its worldwide network of venues, portfolio of powerful sports and music brands and its integrated entertainment districts, AEG entertains more than 100 million guests annually. More information about AEG can be found at aegworldwide.com. the expansive and increasingly popular festival offers something for all Angelenos and is expected to eclipse last year’s attendance of more than 60,000 people. A mile-long stretch of Broadway between 3rd St. and Olympic Blvd. will be closed off and transformed for the free event, offering music, games and activities for kids and adults, art installations and one-of-a-kind experiences featuring hundreds of acts, including performances on 10 stages in the street and in six of Broadway’s historic theaters. Angeles, Eagle Rock Yacht Club, Craig Lawson & Co., LLC, HNTB, The Well, SBJCT Design, Full-On 360, Think Tank Gallery and Najafi Lighting Design. Media partners include: Los Angeles Times, LA Weekly, LA Downtown News, Happening in DTLA, KCRW, DoLA, Downtown Weekly and Yelp. Broadway will be closed from 3rd to 11th, with sections of the closure beginning on Friday afternoon, Jan. 27, 2017. Delays should be expected throughout the Downtown area. Metro is a Night on Broadway partner and the event is a stone’s throw from the Red /Purple Line Pershing Square station at 5th & Hill, and central to all DTLA transit. For more info, visit the Metro Trip Planner or call 323-Go Metro (323-466-3876). Complimentary bike valet will be provided at 5th Street in the festival area, coordinated by the Los Angeles County Bicycle Coalition and Broadway’s DTLA Bikes. Flat-rate parking is available at the City’s Pershing Square Parking Garage and at area Joe’s, City Center, and Paragon Parking lots and garages. Go to www.NightonBroadway.la/transportation for further info. SANTA CLARITA STUDIOS HIGHLIGHTED IN the City of Santa Clarita’s Economic Development video, Santa Clarita Business Minute. Santa Clarita, Calif. – Santa Clarita Studios, an independent full-service studio, is the most recent business to be featured in the City of Santa Clarita’s Economic Development video, Santa Clarita Business Minute. Santa Clarita’s varied topography, over 20 sound stages, over 10 movie ranches and thousands of film-friendly locations, combined with the City’s location within the “30-Mile Zone,” make it one of the most filmed areas in California. The City of Santa Clarita is committed to creating an environment that allows the film industry to thrive and be successful. The City’s Film Office is dedicated to making filming in Santa Clarita as affordable, convenient and enjoyable as possible for production, while balancing the needs of the community’s residents and businesses. In the latest edition of the Santa Clarita Business Minute, learn more about Santa Clarita Studios, a local studio offering a comprehensive package of products and services to meet all production needs. Countless productions have based and filmed at Santa Clarita Studios over the years, including Netflix’s soon-to-be-released “Santa Clarita Diet,” airing on February 3 and “Atypical.” In addition, TBS’ “The Guest Book,” Freeform’s “Stitchers” and “Switched at Birth,” ABC’s “Mistresses,” FX’s “Justified,” and “The Riches,” CBS’ “CSI” and “The Unit,” HBO’s “Deadwood,” TNT’s “Franklin & Bash,” and Fox’s “Melrose Place” have all filmed at the studio. Movies like A Wrinkle in Time, Magic Camp, Fast & Furious, Bobby, True Lies and Planet of the Apes have also utilized the studio for filming. In the video, Santa Clarita Studios executives discuss the City of Santa Clarita’s film-friendly and business-friendly approach to filming in Santa Clarita. The Santa Clarita Business Minute is a video campaign designed to spotlight successful local companies. Santa Clarita Studios is one of more than 6,000 diverse global, national and regional companies that call Santa Clarita home. The most recent video, as well as others, can be viewed at ThinkSantaClarita.com. For more information about the Santa Clarita Business Minute and to learn why companies like Santa Clarita Studios choose to do business and expand in Santa Clarita, visit ThinkSantaClarita.com. ” “The Guest Book” ABC’s “Mistresses” and “The Riches” and Fox’s “Melrose Place” have all filmed at the studio. Movies like A Wrinkle in Time” CBS’ “CSI” and “The Unit” Freeform’s “Stitchers” and “Switched at Birth” FX’s “Justified” HBO’s “Deadwood” TNT’s “Franklin & BashBobbyFast & FuriousMagic CampSanta Clarita Business Minute.SANTA CLARITA STUDIOS HIGHLIGHTED IN the City of Santa Clarita’s Economic Development videoTrue Lies and Planet of the Apes have also utilized the studio for filming. Hollywood, Calif. – The Hollywood Chamber of Commerce is proud to announce that director Brett Ratner will be honored with the 2,599th star on the Hollywood Walk of Fame on Thursday, January 19th at 11:30 a.m. PST. The star in the category of Motion Pictures will be dedicated at 6801 Hollywood Boulevard in front of the Hollywood & Highland Complex. Helping Emcee and Hollywood Chamber President/CEO Leron Gubler to unveil the star will be Chairman and CEO of Warner Bros. Studios Kevin Tsujihara, and Walk of Famers Eddie Murphy and a surprise celebrity guest. The Hollywood Chamber of Commerce which administers the popular star ceremonies encourages people who are unable to attend and fans around the world to watch the event live exclusively on www.walkoffame.com. Brett Ratner is one of Hollywood’s most successful filmmakers. His diverse films resonate with audiences worldwide and, as director, his films have grossed over $2-billion at the global box office. Ratner began his career directing music videos before making his feature directorial debut at 26 years old with the action comedy hit Money Talks. He followed with the blockbuster Rush Hour and its successful sequels. Ratner also directed The Family Man, Red Dragon, After theSunset, XMen: The Last Stand, Tower Heist and Hercules. Ratner has also enjoyed critical acclaim and box-office success as a producer. He has served as an executive producer on the Golden Globe and Oscar-winning The Revenant, starring Leonardo DiCaprio, Black Mass, starring Johnny Depp, and War Dogs, starring Jonah Hill; and as a producer on Truth, starring Robert Redford and Cate Blanchett; I Saw the Light, starring Tom Hiddleston and Elizabeth Olsen, Rules Don’t Apply, written, directed and produced by Warren Beatty, and Sony Pictures Classics’ Land of Mine directed by Martin Zandvliet. His other produced films include the smash hit comedy Horrible Bosses and its sequel, and the re-imagined Snow White tale Mirror Mirror. His additional producing credits include the documentaries Bright Lights: Starring Carrie Fisher and Debbie Reynolds, Author: The JT LeRoy Story, Catfish, the Emmy-nominated Woody Allen – A Documentary, Helmut by June, I Knew It Was You: Rediscovering John Cazale, Chuck Norris vs. Communism, the Emmy Award and Peabody Award-winning Night Will Fall, and Leonardo DiCaprio’s Before the Flood, released by National Geographic. He also executive produced and directed the Golden Globe-nominated FOX series Prison Break, and executive produced the television series Rush Hour, based on his hit films. In 2013, Ratner, along with his business partner James Packer, formed RatPac Entertainment, a film finance production and media company. RatPac has a first-look deal with Warner Bros., and joined with Dune Capital to co-finance over 75 films, including the award-winning and critically-acclaimed Gravity, The LEGO Movie, and American Sniper. Recent films include Sully, The Accountant, Suicide Squad, and Batman v Superman: Dawn of Justice. In partnership with New Regency, RatPac co-financed The Revenant and Birdman. Internationally, RatPac and Warner Bros. have formed a joint venture with Warner Bros., China Media Capital Group and WPP to finance local Chinese content. Since inception, RatPac Entertainment has co-financed 55 theatrically-released motion pictures exceeding $10 billion in worldwide box office receipts. RatPac’s co-financed films have been nominated for 51 Academy Awards, 20 Golden Globes and 39 BAFTAs and have won 21 Academy Awards, 7 Golden Globes and 17 BAFTAs. Ratner is a Board of Trustees member of the Simon Wiesenthal Center and Museum of Tolerance. He currently sits on the boards of Ghetto Film School, Chrysalis, Best Buddies, and the Los Angeles Police Foundation, while serving on the Dean’s Council of the NYU Tisch School of the Arts and on the Board of Directors at Tel Aviv University’s School of Film and Television. ANAHEIM, Calif. – The Disneyland Resort is kicking off the new year with a special ticket offer for Southern California residents, just in time to enjoy the upcoming Main Street Electrical Parade and thrilling Star Wars experiences at Disneyland Park, plus the Lunar New Year Celebration and the Disney California Adventure Food & Wine Festival at Disney California Adventure Park. 3-day Park Hopper ticket for $189. The Southern California Resident tickets include one Magic Morning** early entry to Disneyland Park, which provides an extra hour of play on select days before the park opens to the general public. Guests who choose to visit Disneyland will enjoy the iconic nighttime Main Street Electrical Parade, showcasing scenes and characters from some classic Disney animated films on floats covered in thousands of colorful lights. Beginning Jan. 20, the beloved parade returns to Main Street, U.S.A., in Disneyland, where it began. Guests at Disney Parks around the world have experienced the popular parade. The Disneyland Resort is the place where Star Wars lives during Season of the Force, an exciting lineup of experiences that celebrate the Star Wars film saga. Guests will enjoy the thrills of Hyperspace Mountain, the Star Wars-themed transformation of Space Mountain; the multiple destinations of the Star Tours – The Adventures Continue attraction; and the exciting short film, “Star Wars: Path of the Jedi,” which relives highlights of the Star Wars films. In addition, Star Wars Launch Bay invites guests to encounter that favorite Star Wars pilot Chewbacca, visit a Star Wars-themed cantina and discover authentic replicas of film props, including props from the newest blockbuster in the saga, “Rogue One.” Younglings may learn to conquer their fears in Jedi Training: Trials of the Temple. Another nighttime highlight at Disneyland is the spectacular “Remember … Dreams Come True” fireworks show. This pyrotechnic tribute to the spirit of Disneyland, narrated by Julie Andrews, includes nods to some favorite attractions, past and present. It returns to Disneyland for the first time in more than two years, beginning with weekend performances Friday, Feb. 3. The special magic of the Year of the Rooster comes alive in a bigger-than-ever Lunar New Year Celebration, expanded to 17 days, Jan. 20 through Feb. 5, at Disney California Adventure. Guests will enjoy “Hurry Home,” a new animation, water and special effects feature for Lunar New Year, which precedes the nightly performances of “World of Color” on Paradise Bay. The celebration also includes colorful live performances, fun-filled activities, beautiful décor, Disney characters in their Lunar New Year costumes and special food and merchandise offerings. Food is always part of the fun at the Disneyland Resort, and the popular Disney California Adventure Food & Wine Festival expands to five weeks this year, with daily events March 10 through April 16. The Festival celebrates the lifestyle and springtime flavors of California with a blend of culinary demonstrations, seminars and a full range of dining and tasting options. The Lunar New Year and Food & Wine celebrations add to the year-round fun at Disney California Adventure, which features popular attractions such as Radiator Springs Racers, California Screamin’ and Toy Story Midway Mania. And the latest airborne Soarin’ adventure, Soarin’ Around the World, transports guests to the snowy peak of the Matterhorn, along the Great Wall of China, through Monument Valley and over other iconic destinations worldwide. Southern California residents may experience all of these attractions and entertainment, along with other beloved experiences at Disneyland and Disney California Adventure parks, with the 3-day Southern California Resident tickets. An ideal way to make unforgettable memories, they are available for a limited time. Southern California residents must purchase tickets from Jan. 9 through May 22, 2017. Tickets expire after May 25, 2017, and blockout dates apply. They can be purchased at http://Disneyland.com/SoCal, The Disney Stores, Vons and other retail locations, as well as any Disneyland Resort ticket booth. Guests who purchase tickets online may print their tickets at home. Proof of residency is required for purchase and Theme Park admission. For restrictions, visit http://Disneyland.com/SoCal. For park hours and entertainment schedules, guests may review the resort’s daily calendar at Disneyland.com. Valid only for Southern California residents within ZIP codes 90000-93599 and Northern Baja California residents within ZIP codes 21000-22999; proof of residency is required for purchase and admission. 3-Day, 1-Park Per Day ticket is valid for admission to either Disneyland® or Disney California Adventure® park each day of validity, but not to both parks on the same day. 3-Day Disneyland® Resort Park Hopper® ticket is valid for admission three (3) days to both Disneyland® and Disney California Adventure® park on the same day. Each day of use constitutes one full day of use. Tickets expire May 25, 2017. Blockout days of 4/9/17-4/23/17 apply. May purchase up to 5 tickets per person per day with valid ID. Tickets may not be sold or transferred for commercial use. Offer may not be combined with other ticket discounts or promotions. Tickets not valid before 1/9/17. Subject to capacity, restrictions and change without notice. Magic Morning admission allows admission to selected attractions at Disneyland® Park before the park opens to the general public on Tuesday, Thursday or Saturday. Each Guest must have valid, eligible theme park admission. To enhance the Magic Morning experiences, it is strongly recommended that Guests arrive at least one hour and 15 minutes prior to regular park opening. Magic Morning admission is based on availability and capacity. Applicable theme park, days and times of operation and all other elements including, but not limited to, operation of attractions, entertainment, stores and restaurants and appearances of characters may vary and are subject to change without notice. Subject to restrictions and cancellation. Savings based on the non-discounted price for the same room at the same hotel for most Sunday through Thursday nights. Valid for travel between 1/8/17 to 4/20/17. Book from 10/26/16 through 3/9/17, with travel completed by 4/21/17. Savings on premium rooms are available on Premium, Deluxe and Woods/Garden/Courtyard rooms. Offer excludes select Concierge rooms and suites, except Paradise, Artisan and Regal suites. Ask about savings on other hotels and room types. Not valid on previously booked rooms. Advance reservations required. Subject to availability as the number of rooms allocated for this offer is limited. Excludes applicable fees and taxes. Limit two (2) rooms per reservation and five (5) people maximum per room. Not valid in combination with any other hotel discounts or offers. Subject to restrictions and change without notice. Separate Theme Park admission is required to enjoy the Parks. 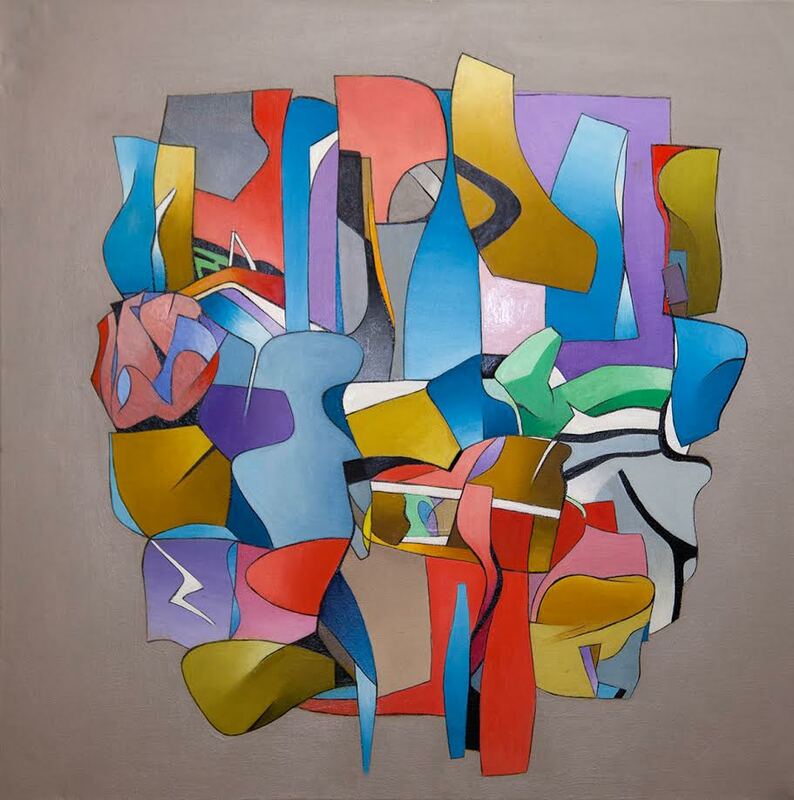 Contemporary Artist set to premier ‘Jigsaw’ Solo Show opening reception Saturday, January 14 from 7-10pm at Launch LA. Los Angeles, Calif. – Carol Sears will be premiering a long-awaited exhibit of her new body of work this Saturday, January 14 at Launch LA. The series of all new works, entitled Jigsaw, takes a dynamic and bold turn that breaks away from yet works with Sears’ abstract compositional aesthetic established in Linescapes. Jigsaw will have an opening reception Saturday, January 14 from 7-10pm at Launch LA. It will remain on view through February 25. I warmly invite you to attend, but any coverage of the show leading up to the opening and during its run is welcome as well. Carol is available for interview. Nine new pieces utilize bold jewel tones amongst interlocking abstracted forms set against soft gray backgrounds, giving us a complex focal point for us to untangle and see into while giving us space to breathe and immerse ourselves in the juicy color palette. Each painting emanates a soft nostalgia for midcentury California in their palettes and forms, but reference Sears’ Australian heritage and interest that draws from Aboriginal art and language. The seamless blend of her influences has created a new vein for her work that retains a memory for her previous figurative pieces and abstracted landscapes while standing in their own right as something more. PaleyFest tickets on sale now for upcoming Panels featuring stars from ‘Westworld,’ ‘The Walking Dead,’ ‘The Late Late Show with James Corden, Scandal, Pretty Little Liars and more. PalyFest runs March 17, to March 26 2017.
' 'The Late Late Show with James Corden' 'The Walking DeadPaleyFest tickets on sale now for upcoming Panels featuring stars from 'WestworldPretty Little Liars and more. PalyFest runs March 17Scandalto March 26 2017. SANTA CLARITA FILM OFFICE SEES ANOTHER SUCCESSFUL YEAR. 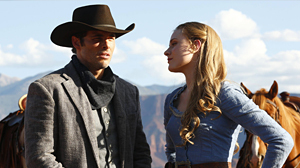 ‘Westworld,’ among popular shows filmed in the SCV’s “Hollwood North” locations. HBO’s popular ‘Westworld,’ is among the many popular shows and movies filmed in Santa Clarita’s aka “Hollwood North” locations. Santa Clarita, Calif. – The Santa Clarita Film Office experienced another great year for location filming in Santa Clarita. In 2016, the Film Office recorded 548 film permits and 1,366 film days, which generated an estimated economic impact of $33.1 million to the local community. This is the fourth year in a row the estimated economic impact generated from location filming has reached $30 million or more. Additionally, this is the third year in a row the Film Office has recorded more than 500 permits and more than 1,300 film days. Not included in the reported numbers are the film days and economic benefit from filming that takes place on certified sound stages, which does not require a film permit. Many factors have contributed to the continued success and appeal of filming in Santa Clarita, including the City’s Movie Ranch Overlay Zone and Film Incentive Program, along with the California Film and Television Tax Credit Program that is working to keep production in the state. Other television shows filmed on location in Santa Clarita last year include “Agents of S.H.I.E.L.D.,” “The Almost Impossible Game Show,” ”American Crime,” “Bar Rescue,” “Baskets,” ”Castle,” “Cesar Milan’s Dog Nation,” “Colony,” “Criminal Minds,” “Criminal Minds: Beyond Borders,” “Drunk History,” “Grey’s Anatomy,” “Face Off,” “Jay Leno’s Garage,” “The Last Man on Earth,” “Major Crimes,” “Master Chef Junior,” “NCIS: LA,” “Pitch,” “Roadies,” “Scorpion,” “Training Day,” “The Young Pope” and more. Television productions aren’t the only ones taking advantage of Santa Clarita as a film location. Several movies also shot in Santa Clarita in 2016 including A Wrinkle in Time, Abilene, All-Star Weekend, Billy Lynn’s Long Halftime Walk, Day of Reckoning, The Female Brain, Gone Are the Days, How to be a Latin Lover, Insidious: Chapter 4, The Last Word, The Lovers, Magic Camp, #REALITYHIGH, Sharknado 4: The 4th Awakens, Sun Dogs, To the Bone, The Yellow Birds and more. Santa Clarita continues to be one of the most filmed places in California because it’s located within the industry’s well-known 30-Mile Zone and offers thousands of film-friendly locations that can double for almost anywhere in the world. In addition, Santa Clarita has more than 20 sound stages, more than 10 movie ranches, a one-stop shop Film Office, and some of the lowest film permit fees in the Los Angeles area. For more information about filming in Santa Clarita, please visit FilmSantaClarita.com or contact the Film Office at (661) 284-1425. For an insider’s view to filming in the area, follow the Santa Clarita Film Office on Instagram (@FilmSantaClarita). Hollywood, Calif. – The Hollywood Chamber of Commerce honored actress Amy Adams with the 2,598th star on the Hollywood Walk of Fame on Wednesday, January 11, 2017. The star in the category of Motion Pictures was dedicated at 6280 Hollywood Boulevard next to the W Hollywood Hotel. “Amy is a multitalented award-winning actress who takes us by surprise with every new role she takes on and keeps us wanting more,” said Ana Martinez, Producer of the Hollywood Walk of Fame. Amy Adams receives her star on the Hollywood Walk of Fame. Getty Images – Courtesy of Paramount. Hamilton is coming to the Pantages Theatre in Hollywood, Aug. 11 – Dec. 30, 2017. Hollywood, Calif –Producer Jeffrey Seller is thrilled to announce thattwo-time Tony Award® nominee JOSHUA HENRY, Broadway’s MICHAEL LUWYOYE andTony Award® Nominee RORY O’MALLEY will lead the National Tour of HAMILTON as Aaron Burr, Alexander Hamilton and King George III, respectively. Hamilton will open at the Pantages Theatre in Hollywood on August 11 and run through December 30, 2017. Mr. Henry, currently performing in the Chicago production, made his Broadway debut in In The Heights, received Tony Award ®nominations for his roles in Violet and The Scottsboro Boys and created the role of “Noble Sissle” in Shuffle Along. Mr. Luwoye made his Broadway debut in HAMILTON and was nominated for a 2016 Lucille Lortel Award for his work as Jacob in Invisible Thread (Outstanding Lead Actor in a Musical). And, Mr. O’Malley is currently playing King George III on Broadway and received a Tony Award® nomination for his role as Elder McKinley in The Book of Mormon. Other principal roles in HAMILTON on tour will be played by RUBÉN J. CARBAJAL as John Laurens/Phillip Hamilton; JORDAN DONICA as Marquis de Lafayette/Thomas Jefferson; AMBER IMAN as Peggy Schuyler/Maria Reynolds; ISAIAH JOHNSON as George Washington; SOLEA PFEIFFER as Eliza Hamilton; EMMY RAVER-LAMPMAN as Angelica Schuyler and MATHENEE TRECO as Hercules Mulligan/James Madison. The National Tour also include RYAN ALVARADO, RAYMOND BAYNARD, AMANDA BRAUN, DANIEL CHING, KARLI DINARDO, JEFFERY DUFFY, JENNIFER GELLER, JACOB GUZMAN, JULIA HARRIMAN, AFRA HINES, SABRINA IMAMURA, LAUREN KIAS, YVETTE LU, DESMOND NEWSON, DESMOND NUNN, JOSH ANDRÉS RIVERA, RAVEN THOMAS, RYAN VASQUEZ, KEENAN D. WASHINGTON and ANDREW WOJTAL. Performances begin March 10, 2017 at the Orpheum Theatre in San Francisco. 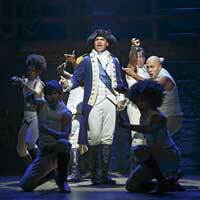 The National Tour of HAMILTON will play 21-weeks in San Francisco, followed by a 21-week engagement in Los Angeles. Michael Luwoye is currently the Alexander Hamilton alternate on Broadway. Off Broadway: Invisible Thread (Second Stage). Regional: Cardboard Piano (Actors Theatre of Louisville), Marley (Center Stage), Witness Uganda (A.R.T. ), Tick, tick … BOOM! (American Theater Group), and The Three Musketeers and Once on This Island (Flat Rock Playhouse). He received B.A. from The University of Alabama c/o 2013. Rory O’Malley was last seen on Broadway singing “Turn It Off” as Elder McKinley in The Book of Mormon (Tony and Drama Desk nominations) and in The 25th Annual Putnam County Spelling Bee. Off-Broadway: Nobody Loves You (Drama Desk nomination) and Little Miss Sunshine. TV: “Partners” alongside Kelsey Grammer and Martin Lawrence, “Nurse Jackie,” “The Good Wife,” “Law & Order: SVU” and “1600 Penn.” Film: Dreamgirls. With book, music and lyrics by Lin-Manuel Miranda, direction by Thomas Kail, choreography by Andy Blankenbuehler and musical supervision and orchestrations by Alex Lacamoire, HAMILTON is based on Ron Chernow’s biography of Founding Father Alexander Hamilton. The musical won eleven 2016 Tony Awards ®including Best Musical, Score, Book of a Musical, Direction of a Musical, Choreography and Orchestrations. Mr. Miranda received the Pulitzer Prize for Drama for HAMILTON. The HAMILTON Original Broadway Cast Recording – recipient of the 2016 Grammy for Best Musical Theatre Album and a regular on numerous Billboard top 10 lists – is available everywhere nationwide. HAMILTON: The Revolution, Lin-Manuel Miranda and Jeremy McCarter’s book about the making of the musical, is on sale and has been a selection on The New York Times Best Seller List. The musical is currently playing in Chicago at The PrivateBank Theatre and on Broadway at the Richard Rodgers Theatre. A London production will also be mounted this year.